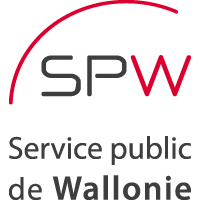 The Wallonia Public Service (SPW) in Belgium started to use Spatineo Monitor in the beginning of 2016 to monitor the availability and analyse the usage of their spatial web services. The Wallonia Public Service is the administration of one of the three regions in Belgium (Wallonia Flanders and Brussels). The Geodata Integration Directorate of the Geomatics Department (DGM) implements the Walloon geographic data distribution infrastructure, InfraSIG, and manages the geoportal that gives an access to it. Based on log analysis, Spatineo Monitor shows SPW who are using their services. Furthermore, the tool enables them to test the compliance of their services against OGC and INSPIRE standards as well as to create and schedule automated reports for decision making or operational management. One of the most crucial features of Spatineo Monitor for SPW is the service-level monitoring for spatial web services complemented with an alert system that sends them notifications by email or SMS when the services are slowing down or broken.